Creative, Logistic, Locations, Talents etc. MOSCOW. OCTOBER 11, 2012. 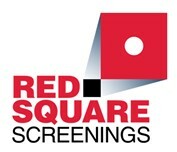 Moscow will host over a 100 international buyers and distributors who attend Red Square Screenings (RSS) on October 15-18. Fifty Russian films released in 2011-2012 will be screened at the GUM Movie Hall and about a hundred of other Russian titles, as well as some new Ukrainian and Kazakh films produced in the last few years will be viewed in the RSS video library during the event or available online within the next 12 months. The main 50-titles program offers a variety of Russian films, such as Karen Shakhnazarov’s White Tiger selected for the forthcoming Academy Award from Russia. or a number of winners/participants of the major global film festivals, such as Kirill Serebrennikov’s Betrayal, Lyubov Arkus’s Anton’s Right Here, Sergei Loznitsa’s In the Fog, Alexey Mizgirev’s The Convoy, Vasiliy Sigarev’s Living, Vitaly Mansky’s Motherland or Death, Pavel Ruminov’s I’ll Be Around, Mikhail Segal’s Short Stories, Avdotia Smirnova’s Kokoko and Igor Voloshin’s Bedouin. RSS also presents a program of commercial films including Roman Prygunov’s Dukhless, Andrei Proshkin’s The Horde, Egor Baranov’s The Suicides, and Rezo Gigineishwili’s Love with Accent. On October 18 the gala screening of Boris Khlebnikov’s Till The Night Separates Us will crown the RSS closing ceremony. RSS in partnership with the CentEast Film Market / Warsaw Film Festival will also run a pitching for such Russian films in production or pre-production as Oleg Stepchenko’s Viy 3D, Alexander Voytinsky’s The Jungle, Alexander Veledinsky’s The Geographer Sold His Globe For a Drink as well as Maxim Sveshnikov and Vlad Barbe’s The Snow Queen etc. RSS is organized by the RAC! (Russians Are Coming!) 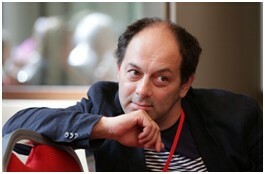 Creative Bureau with the Russia’s Cinema Fund and it is run in partnership with Ukrainian State Agency Of Cinematography, headed by Director Ekaterina Kopylova, and Kazakh Film Studio, presided by Ermek Amanshayev. Among the VIPs of the international film community attending RRS are Jerome Paillard, Executive director of Marché du Film, a delegation of China Film (the exclusive Chinese film import company), Tom Luddy, the founder of Telluride FilmFest, Nadia Dresti, the Head of Locarno’s Industry Office etc. Richard Mortiboys, Film British Artificial Eye Film Company Ltd. Correspondents from Variety, The Hollywood Reporter, Screen International, Filmbulletin and other world-known film media will cover the event. “Three years ago, in the fall of 2009, we held the first small film forum, Project for Tomorrow/ CentEast in Moscow, in the Pioneer movie theater. The main goal of that forum was the most broad-based integration of Russian and Eastern European film industry into international distribution. We proceeded from very basic ideas: independent producers and large film companies alike are very interested in making our films available to the widest possible audiences, not only in our country, but also abroad. Here are some links to web pages that we link to since we assume they are really worth visiting.